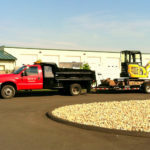 River Valley Construction, LLC specializes in residential and commercial excavating and site work throughout Connecticut. Whether you are building a home or subdivision, installing a French drain or new addition, our professional excavators can handle any size job. We are licensed, insured and bonded. We are an all-purpose excavating contractor from new construction to repairs, we provide all the excavation services you need. We have been in business for over 20 years because we are trustworthy, reliable and take pride in our work.